my soap bottle sits on the sink. 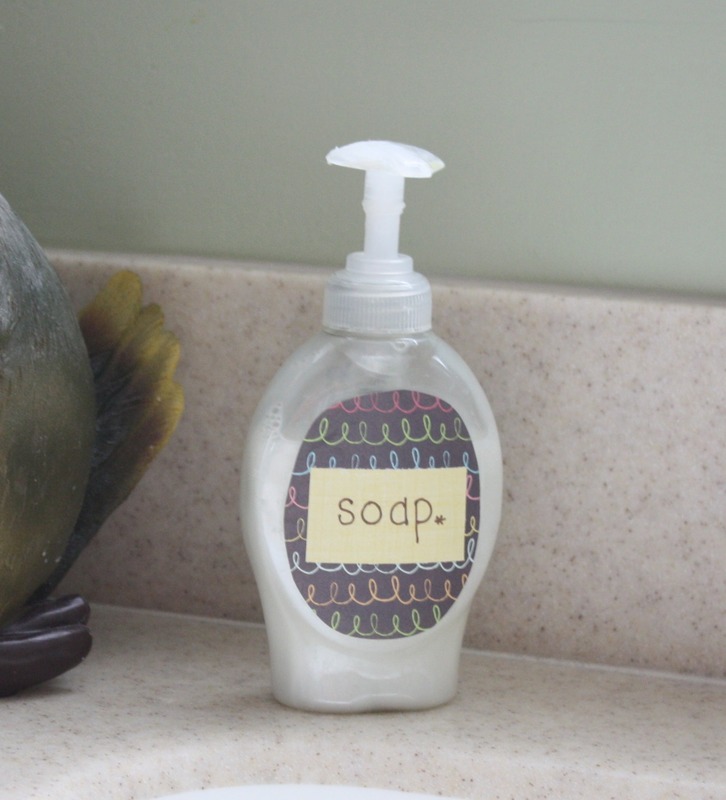 the softsoap label tAUnTs me. it doesn’t match my kitchen. 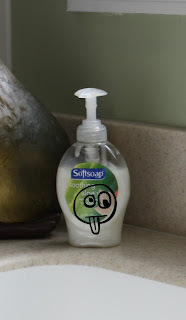 i think it’s in cAhOOts with the sanitizer bottle. so today, i decided to cover their sMuG LiTTle fACeS. i used scrapbook paper to create new labels for each bottle. 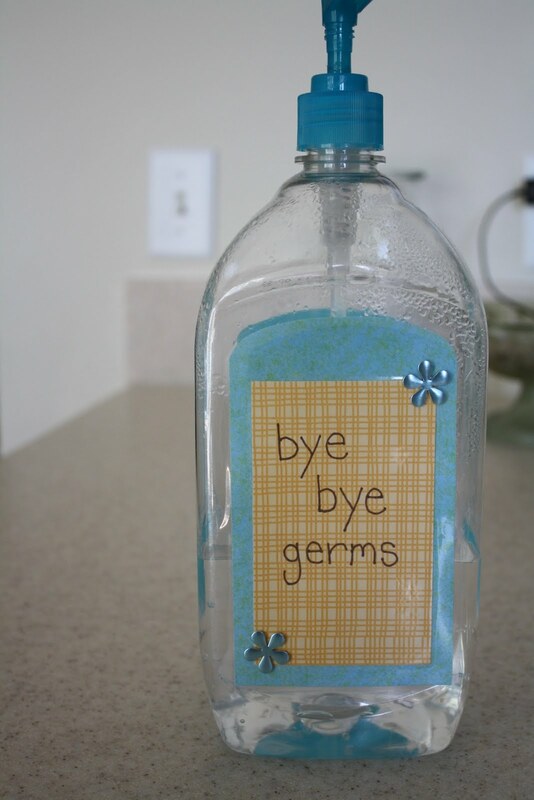 first i created a template by putting a piece of paper over the bottle and tracing the existing label. when i cut it, i went a bit around where i had drawn to give me a little wiggle room. when the paper label was done, i used some art markers i had to write their new names on the paper. then i used self-laminating sheets to stick the labels on. i added some decals to the sanitizer just to lessen its plainness. i have to say, i quite like them. not as good as some of you can do, i’m sure. but a good nUDgE to get you started.